It appears the predictions of many were accurate. The "asteroid" which drifted into our solar system recently has now been used to introduce the possibility not only of ET life, but of advanced alien technology. Excuse me. Was this not considered laughable and impossible by the scientific establishment not yesterday? What happened to the Drake equation that suggested it was virtually impossible for Earth civilization to ever come in contact with advanced extraterrestrial life in the universe? Why was this equation considered so valid even when there was no evidence to support it? Further, why now has the scientific establishment done a complete one-eighty and started to expect to see "alien technology" on an "asteroid" that just so happened to conveniently arrive on our doorstep now? It seems clear that somewhere behind the scenes, ET life is much more than a possibility, and that it is only now that the general public is being given a true glimpse of reality. From this development, it seems fairly clear that the black projects reportedly operating both on and off planet are at least aware of intelligent ET life and that these projects have, to some degree, become more public. The interesting aspect of these soft disclosures in media is that they fall directly in line with the testimony of numerous whistleblowers who accurately predicted the release of this information in this fashion. Years ago, before these blatant hints at ET life began, it was stated by various former operatives in black projects that the public was being groomed for some type of disclosure event. At the time, most of us were unaware that much of our entertainment about ET life--both in past and current production--was designed to prepare our minds for an end to systemic secrecy. Even still, this seems to have been the case. Now, instead of science fiction movies being the medium of disclosure, the scientific establishment is piping up and claiming that they suddenly believe in advanced ET races. On one hand, this sudden change in corporate media is somewhat humorous. On the other, it seems a bit insulting that firstly, these interests do not think that anyone in society knows what they are actually doing, and secondly, they do not believe the public is able to handle the news of ET life. It is understandable that certain interests in government and special access projects do not believe the public is able to handle ET disclosure. According to multiple sources, the War of the Worlds broadcast of 1938 was not only a marketing ploy to gain a larger audience during a competitive time in radio programming. It was a sociological experiment designed to prove that the public was not able to handle ET disclosure. I put it this way because if this infamous broadcast was an experiment, it was not executed scientifically. Those behind the test appeared to deliberately make the experiment too difficult for anyone to pass. If this were the case, it seems that deliberately designing the experiment to fail accomplished this plan perfectly. According to numerous sources, the secrecy surrounding ET life, the Secret Space Program and the global theft perpetrated by the central banking system is so dark and corrupt that many of those involved have blood on their hands. These individuals are so heavily invested in these criminal conspiracies against the public that they do not want the truth to come forward. For those who may not be aware, there are several different perspectives within the black ops community on the subject of disclosure. Some desire for disclosure to only cover a small portion of the truth--allowing humanity to know about certain truths which might make life easier on Earth. Some believe that the people should know about advanced technologies and that century-old tech such as petroleum-based vehicles, archaic pharmaceutics and food production should be replaced by superior developments which are currently in use off-world, according to reports. In other black-ops communities, it is viewed as necessary to disclose the existence of ETs. Some believe it is unwise to reveal the current existence of ETs and their interactions with humanity at this time, according to reports. It is believed that only the remnants of past visits to our solar system by extraterrestrials should be disclosed. Others maintain that humanity must be introduced to the ETs that are currently here on Earth with us. Then some believe that all of this information should be indiscriminately (but responsibly) given to the people and that humanity should be given the chance to process the entirety of the truth on its own. This way, humanity can progress as it would otherwise naturally, and the various secret space programs and black ops projects that were spending so much time, energy and resources keeping secrets could spend their energy on more productive pursuits. All of these viewpoints are reportedly contributing to the various efforts of disclosure in media, according to reports. As the revelations progress, we may be exposed to greater amounts of interesting and sometimes shocking information. But no matter what the revelation, it is important that each of us know that we have every ability to handle and to discern the truth, granted we have the discipline to receive and evaluate the information responsibly. The interstellar body, the first to be seen in the solar system, was initially spotted by researchers on the Pan-Starrs telescope, which the University of Hawaii uses to scan the heavens for killer asteroids. Named after the Hawaiian word for “messenger”, the body was picked up as it swept past Earth at 85 times the distance to the moon. While many astronomers believe the object is an interstellar asteroid, its elongated shape is unlike anything seen in the asteroid belt in our own solar system. Early observations of ‘Oumuamua show that it is about 400m long but only one tenth as wide. “It’s curious that the first object we see from outside the solar system looks like that,” said Loeb. The body is now about twice as far from Earth as the sun, but from that distance the Green Bank telescope can still detect transmissions as weak as those produced by a mobile phone. Loeb said that while he did not expect Green Bank to detect an alien transmission, it was worth checking. The Breakthrough Listen project was launched at the Royal Society in London in 2015, when the Cambridge cosmologist Stephen Hawking announced the effort to listen for signs of life on planets that orbit the million stars closest to Earth. The $100m project is funded by the internet billionaire Yuri Milner, and has secured time on telescopes in the US and Australia to search for alien civilisations. Astronomers do not have good ideas about how such elongated objects could be created in asteroid belts. By studying ‘Oumuamua more closely, they hope to learn how they might form and whether there are others in the solar system that have so far gone unnoticed. “If it’s of natural origin, there should be many more of them,” Loeb said. Previous work on the body found it to be extremely dark red, absorbing about 96% of light that falls on it. The colour is associated with carbon-based molecules on comets and asteroids. If, as expected, the telescope fails to pick up any intelligent broadcasts from ‘Oumuamua, the observations are still expected to aid scientists in understanding the body. Other signals detected by the Green Bank telescope could shed light on whether the object is shrouded in a comet-like cloud of gas, and reveal whether it is carrying water and ice through the solar system. In case you didn't catch that, not only have astronomers accepted the possibility of ET life, they have speculated on the possibility that we could be staring at it in the face in the form of a hyper-advanced space craft. 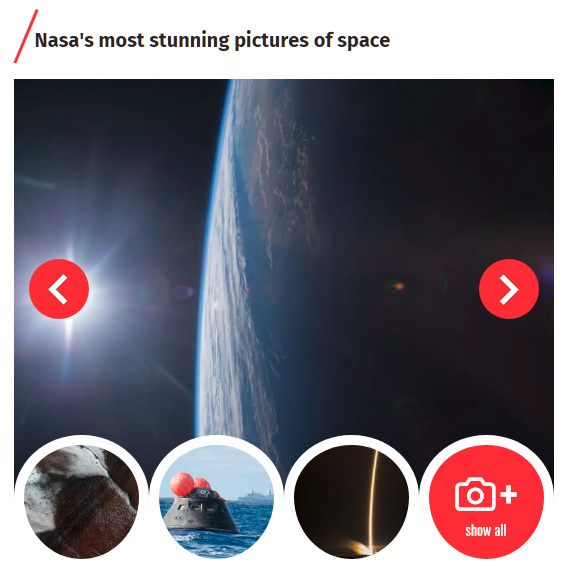 Just a few years prior to the above story, corporate media was happily singing the songs of reprisal and ridicule whenever anyone would talk about even the possibility of ET life. Again, we may ask, "What happened?" Was the scientific community being unreasonable back then, or are they being unreasonable now? One may also wonder why science, in all of its boasts of cutting edge research and development--would believe that radio would be the medium of choice for an ET race when communicating in space. As we know, radio signals are an extremely slow means of communication when considering the distance of travel throughout the cosmos. Considering the fact that any intelligent civilization outside of our solar system is most likely light-years away, radio signals could literally take decades or centuries to traverse the distance between Earth and the alien world. This means that considering relative distance, using radio signals for interstellar communication could be compared to the notorious snail-mail (i.e., physical mail/postal service) many of us remember using here on Earth. Consequently, we can imagine that a hyper-advanced ET civilization would have moved far beyond the need for radio signals in communication. If this is true, why would modern scientists believe that sending and listening for radio signals was useful--outside the fact that the equipment needed to do so is conveniently available? Could it be that modern astronomers who search for ET life are deliberately using radio signals specifically because they know that ETs do not use them? Similar to the War of the Worlds tactic of the self-sabotaged experiment, this situation could be the same as that of 1938 (reportedly). It could be that some aspect of scientific research already knows that advanced ET life exists and that these beings are communicating by a completely different medium than radio frequencies. Those within special access programs do not want to disclose, in which case, I find it likely they are deliberately testing by means they know will be unsuccessful. Contrary to the old tradition of ET secrecy, it seems as though this trend has changed rather rapidly in the last two to five years. Now, all of a sudden, not only are the various branches of science opening their minds to possibility of meeting ET, they are almost expecting to discover signs of an ET civilizations that has developed well beyond that of conventional Earth society. Interesting. A huge object that flew past Earth might be an alien spacecraft, scientists have said. 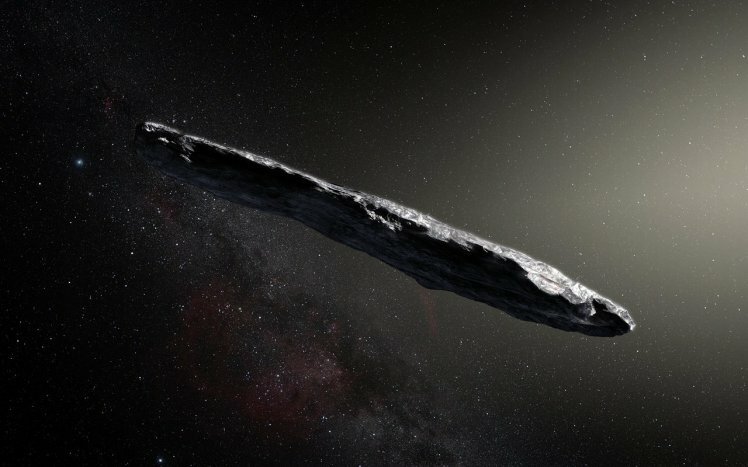 Scientists had originally thought that the cigar-shaped object was a very strange passing asteroid. But a number of things have led scientists engaged in the search for alien life to wonder whether it might actually be an "artifact" from an alien civilisation. It is long and cigar-shaped, for instance. While it is hundreds of metres long, it's only one tenth as wide – and it is very unusual for asteroids to come in such non-round forms. A statement from the 100 million dollar (£75 million) Seti project Breakthrough Listen, launched by Russian digital tech mogul Yuri Milner in 2015, said: "Researchers working on long-distance space transportation have previously suggested that a cigar or needle shape is the most likely architecture for an interstellar spacecraft, since this would minimise friction and damage from interstellar gas and dust. From 8pm UK time on December 12, the giant dish - the largest fully steerable radio telescope in the world - will "listen" to the object across four radio frequency bands spanning one to 12 gigahertz. "Whether this object turns out to be artificial or natural, it's a great target for Listen."